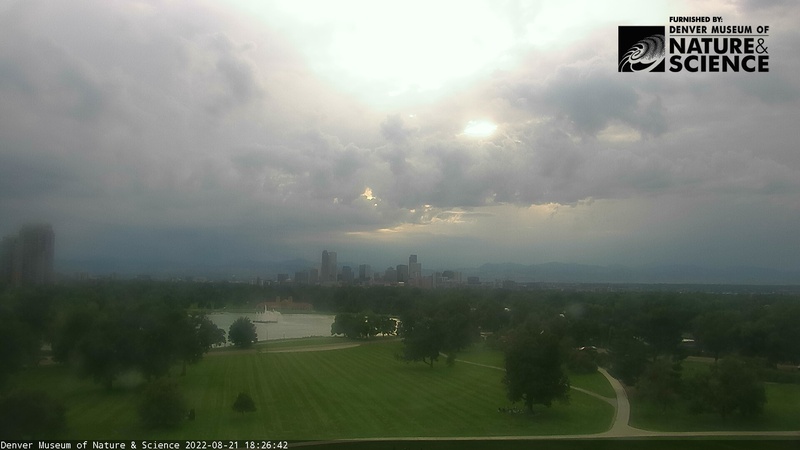 Most of the orange clouds were directly overhead, so this webcam view from the Denver Museum of Nature & Science only caught an edge. But wow, what a show we had last night. “‘Tis a privilege to live in Colorado,” where nature has a way of making you feeling really insignificant and yet extremely grateful to be alive. That quote describes the CO feeling perfectly. I should have (and just did) put it in quotes. I looked it up today for the first time. “‘Tis a privilege to live in Colorado” is attributed to Frederick Gilmer Bonfils, who in 1895 bought and renamed what is now the Denver Post. That’s where DP got it. How funny – I would have sworn there were already quotes around that – guess it’s true you eyes/brain fills in the blanks sometimes. Thanks for adding the background history. I added the quotes after I saw your comment. They weren’t there originally. So your eyes and brain are just fine. Would kind of make one feel very insignificant; standing looking up at that. It tends to remind you who’s really in charge. I’m going to forget you said that.